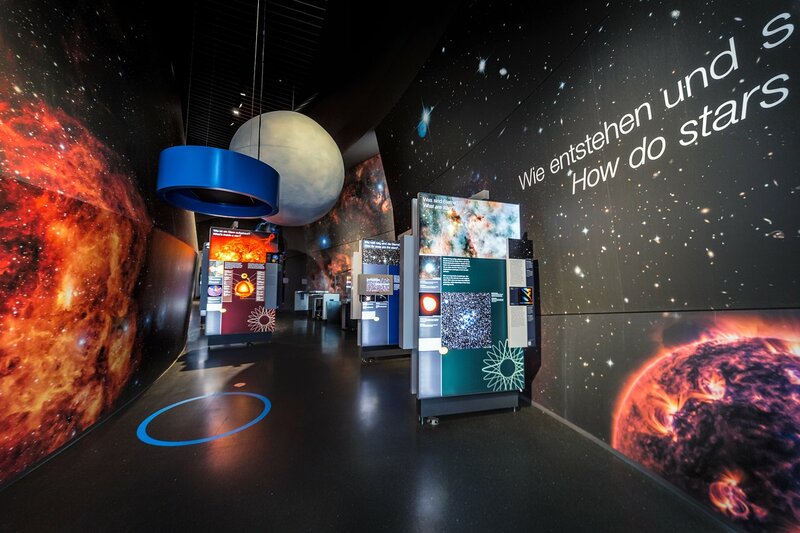 Awaiting visitors at the ESO Supernova are an interactive exhibition as well as the largest tilted 360-degree planetarium in Germany, Austria and Switzerland. The planetarium’s dome has a diameter of 14 meters, a tilt 25 degrees and has 110 seats available. Cuttingedge projection technology gives planetarium visitors the impression that they are actually traveling through the universe. “The Living Universe” exhibition consists of 13 astronomical topics spanning over 2,200 m² with a 284-meter long spiral ramp that guides visitors through the exhibits. 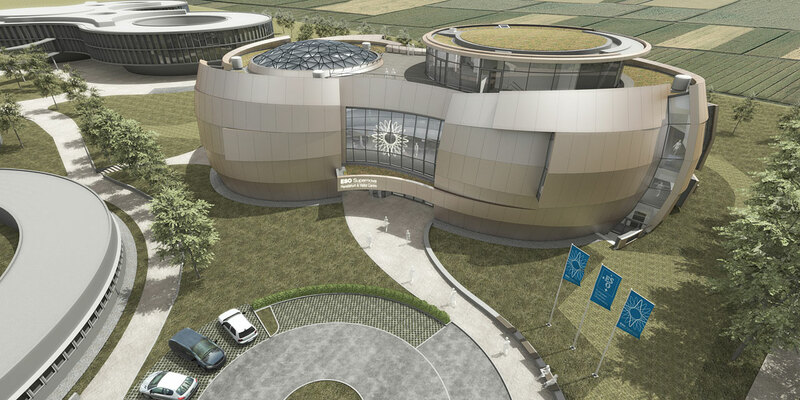 The spiral ramp and a glass elevator allow visitors with disabilities to enjoy the full scope of the ESO Supernova. 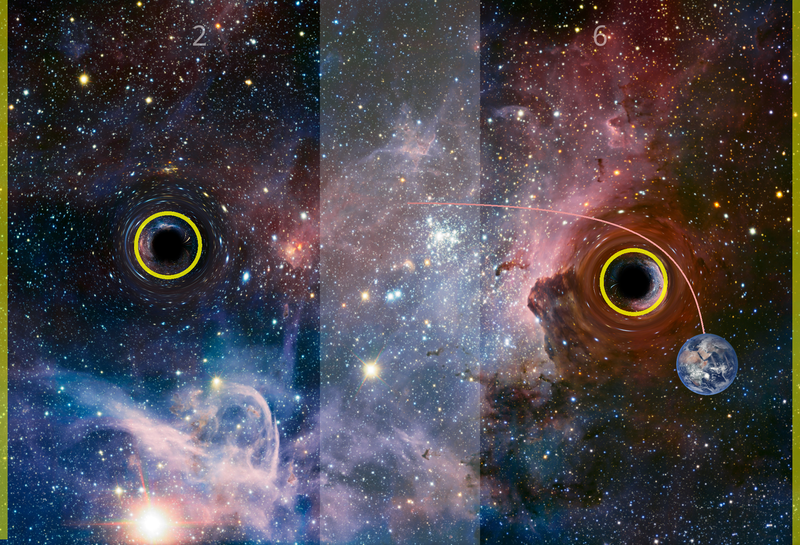 The exhibition also illuminates the most current scientific findings in astronomy and astrophysics. HITS, which was founded by Klaus Tschira and his foundation, guided the exhibitions conception, contributing scientific and technical expertise. Under the direction of Kai Polsterer, HITS staff developed interactive exhibits especially for the Supernova. Aided by computer simulations, virtual reality and innovative computer graphics, visitors can dive into a world that is both diverse and spellbinding. structure with help from the Bernhardt+Partner Architectural firm in Darmstadt. “Klaus Tschira enjoyed working together with the architects on unique building forms,” said Beate Spiegel, “For example, Heidelberg is home to the Haus der Astronomie that resembles a spiral galaxy and the ATC, modelled after a DNA double helix.” In select cases, architecture is the fourth area of focus of the Klaus Tschira Foundation, next to education, research and science communication. Free tickets can be booked online and printed out on arrival. The ESO Supernova building in Garching resembles a close binary star exploding as a suoernova (Picture: ESO). “The Living Universe” exhibition at the ESO Supernova building for which HITS contributed its scientific and technical expertise (Picture: ESO). One of the interactives developed at HITS: The game “Gravity Pong” lets visitors explore the power of gravity (Picture: HITS).